Every parent knows that children often misunderstand the simplest of instructions. It might be "Please help me with dinner," or "Clean up your room." But whatever the instruction is, children have a way of coming up with odd interpretations of what their parents require. Sometimes this is a willful decision on the child's part, but at other times the misunderstanding is genuine. Figuring out the right thing to do can sometimes be difficult. And there is a good reason for this: Whether we realize it or not, following even simple instructions requires us to have substantial knowledge about many things besides the instructions. This is easy to see when it comes to little children, since they often lack the knowledge they need. But even as adults we have to rely on our knowledge of many subjects when we follow instructions. And this is particularly true when it comes to understanding what God requires of us. For us to know what to do in any given circumstance, we must not only know the Lord's specific instructions, but we must understand many other things as well. 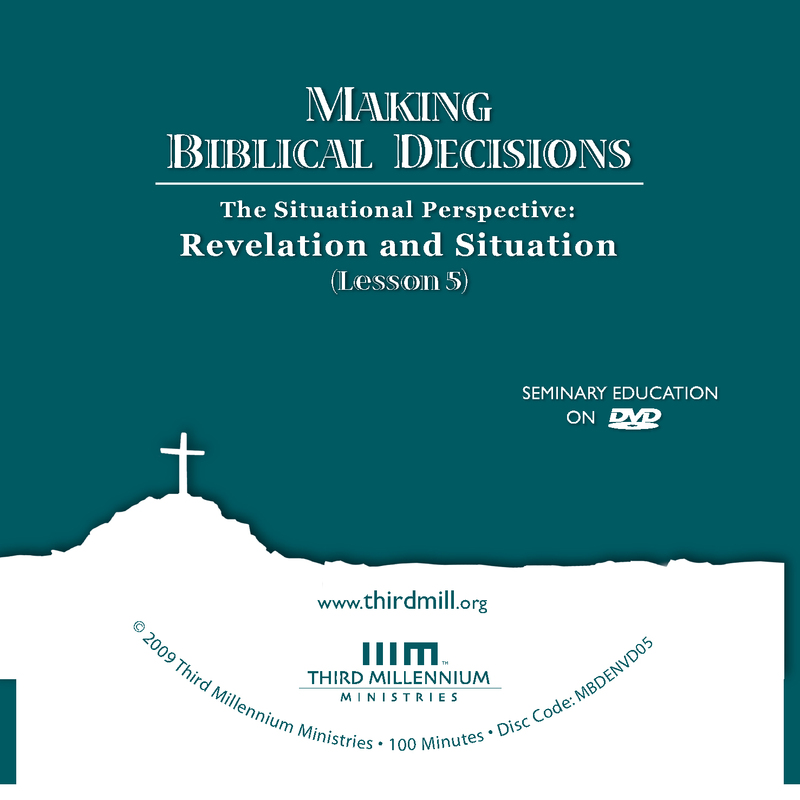 This is the fifth lesson in our series Making Biblical Decisions , and we have entitled it "The Situational Perspective: Revelation and Situation." In this lesson, we will turn our attention to the situational perspective on ethics, focusing on how a proper understanding of situations can help us understand God's revelation. Throughout these lessons, we have emphasized that ethical judgment involves the application of God's Word to a situation by a person. This summary highlights the fact that there are three essential dimensions to every ethical question, namely, God's Word, the situation, and the person making the decision. And in this lesson, we will focus on two of these dimensions, looking at the relationship between our ethical situation and the norms revealed in God's Word. Throughout this series of lessons, we have also described the relationship between God's Word, situations, and persons in terms of three perspectives on ethics. First, there is the normative perspective, which looks at ethics from the perspective of God's Word. This perspective emphasizes the rules, or norms, that God reveals to us. Second, the situational perspective approaches ethics with an emphasis on the situation, considering how the details of our circumstances relate to our ethical decisions and on how we can work with these circumstances to bring glory to God. Third, there is the existential perspective, which considers ethics from the perspective of the persons who make ethical decisions. This perspective emphasizes their roles and characteristics, and the ways they must change in order to please the Lord. All three of these perspectives are true, valuable and complementary. So, the wisest course of action is to use all three perspectives together, allowing each one to inform our understanding of the others. In this particular lesson, we will approach ethics from the situational perspective, looking at how the various elements of our situation should inform the decisions we make.  Our lesson will divide into four major sections. First, we will consider the situational content of revelation, paying attention to what revelation teaches us about ethical situations. Second, we will speak of the situational nature of revelation. Here we will be especially concerned with noting that God's revelation must be understood within the context of its own situations. Third, we will discuss some popular interpretive strategies toward revelation, looking at some ways that Christians have handled the situational character of revelation. And fourth, we will turn to the application of revelation to our modern situations. Let's begin with the content of revelation as one of the most important sources of information about our situation. As you will recall from earlier lessons, there are three basic types of revelation: special revelation, such as the Bible; general revelation, which comes to us through the creation in general; and existential revelation, which comes to us through persons. We must always remember that God reveals his will to us in all three of these ways. Now, even though special, general, and existential revelation differ in some respects, they all communicate content in the form of facts. These facts include everything that God reveals about our situation, such as: events, people, objects, ideas, duties, actions — even God and his revelation. It is possible to speak of the facts that God's revelation communicates in countless ways. In addition to speaking about facts in general, we will also speak of goals and means. Goals are the intended or potential outcomes of thoughts, words, and deeds. They are the ends for which we do things, or for which we ought to do things. And means are ways of reaching our goals. They include everything we might think, say or do, and any tool or method that we might use, in order to accomplish our objectives. We will take a closer look at the content of revelation by looking briefly at each of the situational elements we have mentioned. First, we will consider revelation in terms of the facts it presents to us. Second, we will look at the goals revelation obligates us to pursue. And third, we will explore the means revelation teaches us to use as we pursue these goals. Let's begin with the general facts that revelation presents to us. Now, for obvious reasons, it would be impossible to list every fact that special, general and existential revelation communicate to us. So, in order to illustrate the important role that facts play in our ethical evaluations, we will focus on God himself as the most basic fact that we learn through revelation. When we studied the normative perspective in previous lessons, we saw that God's character is our ultimate norm or standard. Correspondingly, from the situational perspective, God is our ultimate fact, our ultimate ethical environment. The reality of God's existence rules over every ethical question, and obligates us to live by the standard of his character. Of course, in order for us to know our obligations before God, he must first reveal himself to us. And this is where revelation comes in. Through revelation, God tells us facts about himself, and facts about what he requires. Without revelation, we would still be bound to obey God, but we would not know how. Think in terms of the situation you face as a citizen of a country. The government is the authority of the land, and its laws are means through which the government exercises control over its subjects. The government also exercises control in other ways. It has employees that carry out its bidding. It has maps that define its boundaries. It has treaties and other relationships with foreign countries. It has currency to administer the economy, and so on. All of these are means by which the government exercises its authority, and controls those things under its authority. Or to put it another way, the existence of the government is a fact in our legal situation, and its laws are additional facts that explain the kinds of duties we owe to the government. And if we want to obey the government, these are facts that we need to know. In a similar way, God is the supreme authority over all creation. His authority is absolute, and his character is the perfect expression of his will. So, when he reveals his character, that revelation is the means through which God exercises control much like human governments exercise control through their laws. And just as human beings obey civil laws because they bow to the government's authority, all creation must obey God's laws by bowing to his authority. Besides communicating the facts to us, God's revelation also teaches us about a special set of facts that are particularly important for ethics: the proper goals for Christian behavior and decision-making. When we speak of goals in ethics, we have in mind the expected outcomes of our endeavors. In many ways, this is no different from the way that we set goals to accomplish anything else in life. I might set a goal to wake up at a certain time each day, or to buy a present for my wife on her birthday. Our goals can be small or large. They can be things we hope to accomplish immediately, or things we plan to do in the distant future. But in every case, our goals give direction to our actions. Now, in most cases, our goals are rather complex. For example, consider a carpenter who measures and cuts wood for the purpose of building a house. When he does, his most immediate goals are to measure and cut accurately. A more distant goal is to build the house. He may also be working to earn money to feed his family. And if his actions are to be truly good, his ultimate goal must be to do it all for the glory of God. And just as special, general and existential revelation each teach us important generic facts, each type of revelation also provides us with goals that we must adopt in Christian ethics. In the first place, special revelation gives us countless goals that must be considered in Christian ethics. To name just a few, Scripture teaches us the goals of doing good to our neighbors, and raising children in Christ, and striving for the unity of the church. But among the many goals that special revelation teaches us, it presents God's glory as the highest and most important. Whether you eat or drink or whatever you do, do it all for the glory of God (1 Corinthians 10:31). Even in smaller things in life, such as choosing what to eat and drink, our ultimate goal must be to glorify God. Since the creation of the world God's invisible qualities — his eternal power and divine nature — have been clearly seen, being understood from what has been made, so that men are without excuse. For although they knew God, they neither glorified him as God nor gave thanks to him, but their thinking became futile and their foolish hearts were darkened (Romans 1:20-21). God's glory in creation reveals that we must be loyal to God and that we must praise him — that we must glorify him in all that we do. In short, it teaches us to set God's glory as our highest goal. It is God who works in you to will and to act according to his good purpose (Philippians 2:13). We see here that God works in us existentially, through the inward ministry of the Holy Spirit, enabling us and moving us to act according to his purpose, according to his goal. So, we see that God uses all three forms of revelation — special, general, and existential — in order to teach us the goals that God approves. Having looked at the situational content of revelation in terms of facts and goals, we are now ready to explore the means that God has revealed for us to use in our ethical situations. In the early sixteenth century, the Florentine political philosopher Niccolo Machiavelli wrote a book that has come to be known by the title "The Prince." In many languages Machiavelli's name is synonymous with the slogan "the end justifies the means." His work has become somewhat infamous for teaching that in many cases politicians must violate moral principles in order to achieve goals that benefit the state. Suppose a brother or sister is without clothes and daily food. If one of you says to him, "Go, I wish you well; keep warm and well fed," but does nothing about his physical needs, what good is it? (James 2:15-16). It is important to recognize the fact that there are poor people in need of food and clothing. And it is also important to set the goal of seeing them warmed and fed. But the means of reaching this goal is critical: we must actually give them food and clothes. In this case, James called for his readers to seek insights primarily from general and existential revelation by asking questions like, "What means are available to me to help the poor?" But, we must always remember that special revelation also has much to teach us about the means we should use to accomplish godly goals. One of the main ways Scripture teaches us about ethical means is by giving us examples to consider. On the one hand, we find many negative examples of people who did not perform so admirably. But on the other hand, we also find many positive examples of people who properly understood God's norms, properly assessed their circumstances, and then performed good actions in order to achieve good ends. We should not commit sexual immorality, as some of them did — and in one day twenty-three thousand of them died. We should not test the Lord, as some of them did — and were killed by snakes. And do not grumble, as some of them did — and were killed by the destroying angel. These things happened to them as examples and were written down as warnings for us (1 Corinthians 10:8-11). Paul drew these negative examples from the experiences of the ancient Israelites during their 40 years of wandering in the wilderness. God had made many generic facts clear to the Israelites. He had also revealed the goals of their journey. But as they traveled, the Israelites sinned greatly by turning away from the means God had instructed them to use to accomplish their goals — means such as godly living, purity in worship, and prayer. Instead, the Israelites preferred the means of sexual immorality, idolatry, and grumbling. And so, they serve as a negative example, showing us some means that God disapproves and strongly curses. Follow my example, as I follow the example of Christ (1 Corinthians 11:1). Here, Paul offered himself and Jesus as two positive examples of ethical behavior. In this case, Paul was speaking broadly of all the information the Corinthians had received about Jesus and about himself, whether it had come through special, general, or existential revelation. And he indicated that by remembering the perfect life of Jesus, and his own imperfect but exemplary behavior, the Corinthians could learn not only facts and goals, but also godly means. In summary, we see that the situational content of revelation includes facts, goals and means that are essential to making proper ethical choices. So, if we are to make biblical decisions in our daily lives, we have to understand what God has revealed about these dimensions of our situation. Now that we have seen that knowing our duty entails understanding what the content of revelation tells us about our situation, we should turn to our second topic: the situational nature of revelation itself. God's revelation comes to us embedded in its own situations. And because of this, we need to consider questions like: "What are the circumstances for which, and within which, God has revealed himself?" and "How does understanding these situations help us to make ethical decisions?" Recognizing what God's revelation says about facts, goals and means is an important part of knowing our duty. But it is also critical that we understand how revelation is influenced by its own situation. If we fail to understand how situations influence the way God reveals himself, we run the risk of misunderstanding what he has revealed. As we have seen in other lessons, since the beginning of creation, general and existential revelation have always been accompanied by special revelation. In our day, the special revelation of Scripture has been given to us as a guide, as eyeglasses through which we must interpret general and existential revelation. This means that Scripture has a practical priority over everything we may think we have found in general and existential revelation. General revelation affirms Scripture, but it can never reveal any ethical norms that are not also revealed in Scripture. So, any contribution that general revelation makes to our knowledge of our duty is purely a clarification of what Scripture already offers us. And the same thing is true of existential revelation. Existential revelation affirms the teaching of Scripture, and never teaches us any ethical norm that is not also directly or implicitly taught in Scripture. All of God's revelation is important, valuable and true. But because Scripture is the key to understanding all of God's Word, our discussions of the situational nature of revelation will focus particularly on the Bible. Still, we should keep in mind that much of what we say about the Bible is also true of the rest of God's revelation. We will divide our discussion of the situational nature of revelation into two parts. First, we will speak about the inspiration of Scripture, considering the facts, goals, and means surrounding the writing of Scripture. Second, we will look at an example that confirms the importance of understanding the facts, goals, and means that are involved in the inspiration of Scripture. Let's begin with the inspiration of Scripture — that manner in which God moved human authors to create Scripture. Scripture is a divinely inspired human writing. The Holy Spirit motivated and superintended the writings of the human authors in order to ensure that everything they contain is true. The Spirit did this in ways that kept the human authors free from error, but that also preserved their personalities and their intentions in their writings. As a result of this process, the original meaning of Scripture is the meaning the divine and human authors of Scripture jointly intended to communicate. This is not a composite meaning, as if the human author intended one meaning, and the Holy Spirit intended a different meaning. Rather, it is a unified meaning, in which both the Holy Spirit and the human author intended the same thing. Unfortunately, many well-meaning Christians act as if God did not give us Scripture within historical situations. They treat the Bible as timeless, as if it were written without human involvement. But when we consider what biblical writers said about their own books, we see that this is not the case. The Scriptures were given in historical situations. No prophecy of Scripture came about by the prophet's own interpretation. For prophecy never had its origin in the will of man, but men spoke from God as they were carried along by the Holy Spirit (2 Peter 1:20-21). As Peter mentioned here, the Bible is not a merely human writing. It is a book written by men who were carried along by the Holy Spirit. Peter assures us that everything we find in Scripture carries God's authority and is utterly trustworthy. Now, at various times, Christian teachers have misunderstood this and other biblical texts, and have concluded that the Holy Spirit is the only true author of Scripture. These teachers have wrongly believed that the human writers made no contributions to their own writings. While the Pharisees were gathered together, Jesus asked them, "What do you think about the Christ? Whose son is he?" "The son of David," they replied. He said to them, "How is it then that David, speaking by the Spirit, calls him 'Lord'? For he says, "'The Lord said to my Lord: "Sit at my right hand until I put your enemies under your feet."' If then David calls him 'Lord,' how can he be his son?" (Matthew 22:41-45). Here, Jesus referred to Psalm 110:1. And his point was that in order to understand what the Holy Spirit meant in this verse, it was necessary first to know that David wrote it, and second to know the original meaning David intended to communicate. To understand the original meaning of any given Scripture, we have to learn many facts about its authors, such as their circumstances, their experiences, their education, their theology, and their priorities. And often, our understanding of these things can be enhanced by other information that comes from outside the Bible, such as historical, cultural and linguistic facts. Beyond this, we have to pay attention to the goals of the authors of Scripture. What were their motives? What audiences did they hope would read their writings? And what responses did they try to elicit from these readers? Further, we have to consider the means biblical writers employed: things like the language in which they wrote, the genre of literature they used, their rhetorical techniques, and the structures of their thoughts and arguments. To rely on Scripture properly in Christian ethics, we must evaluate all these facts, goals, and means in order to learn why the authors of Scripture wrote as they did, what they meant when they wrote, and how their original audiences would have understood them. Now that we have described the situational nature of the inspiration of Scripture, we should look at an example from the Bible that confirms the importance of considering these situational features of revelation. Admittedly, it is impossible to identify all the facts, goals and means that are relevant to any particular text of Scripture, let alone to understand how they relate to the original meaning. But fortunately, the Bible itself records many examples that can guide us. Biblical writers and reliable biblical characters often explained Scriptures written by prior authors. And their examples provide us with many opportunities to see the importance of the situational aspects of Scripture. God was not pleased with most of our forefathers; their bodies were scattered over the desert. Now these things occurred as examples to keep us from setting our hearts on evil things … Do not be idolaters, as some of them were; as it is written: "The people sat down to eat and drink and got up to indulge in pagan revelry." We should not commit sexual immorality, as some of them did — and in one day twenty-three thousand of them died. We should not test the Lord, as some of them did — and were killed by snakes. And do not grumble, as some of them did — and were killed by the destroying angel. These things … were written down as warnings for us (1 Corinthians 10:5-11). Exodus 32, where the Israelites indulged in pagan revelry and about 3,000 men were put to death as punishment. Numbers 25, where they committed sexual immorality and 23,000 died. Numbers 21, where they tested the Lord and many were killed by snakes. Numbers 16, where they grumbled against Moses and many were killed by the destroying angel. These things … were written down as warnings for us (1 Corinthians 10:11). Paul believed that Moses wrote the Pentateuch under the inspiration of the Holy Spirit for the purpose of warning future generations against repeating the failures of the Israelites. And because he understood the situation of these passages in this way, Paul highlighted a number of facts that these passages presented. First, he noted the fact that God was not pleased by the actions of the ancient Israelites. Moses explicitly stated this in the texts to which Paul referred. Second, Paul reinforced this point by noting the fact that God killed many Israelites for these sins. As he wrote: "their bodies were scattered over the desert." This was significant to Paul because it indicated God's extreme moral disapproval of the Israelites. Third, Paul paid attention to the fact that specific actions displeased God: paganism, idolatry, testing, and grumbling. In addition to these facts that Paul mentions specifically, he also assumed many other facts, such as the fact that Scripture is true, and the fact that it is authoritative, and the fact that it is applicable to Christians. And on the basis of many such facts, Paul was able to conclude that Moses' goal was to use the means of inspired Scripture to record these things for future generations so that they would learn from Israel's mistakes. First, the details reported in Scripture — Paul accepted the Old Testament as factual and reliable, and knew that the details of the stories were important to their meanings. Second, the author's intention — Paul understood that Moses' goal was not simply to tell us what happened a long time ago. Rather, he wrote to elicit a response from his readers. Now, this list is in no way exhaustive. But it is a good — and even an authoritative — example of the types of situational features we must consider when we interpret Scripture. We must consider things that Scripture makes explicit, such as the factual details it reports. And we must consider things that are implicit in Scripture, such as the author's intention or goal in writing. By remembering the situational nature of Scripture in these and other ways, we can have greater confidence that we have understood it rightly. Now that we have looked at how the content of revelation addresses the facts, goals, and means of our situation and at the historically situated nature of revelation, we should turn our attention to some popular strategies toward dealing with the situational character of revelation. As we work in Christian ethics from the situational perspective, we are often challenged by the fact that we are dealing with two situations, the situation of Scripture and our modern situation. And this means that we have to find ways to connect the situations of Scripture to our modern world. This process is often quite complex and unfortunately Christians have a tendency to look for shortcuts that oversimplify the issues involved. So before we address modern application itself, we should look at some of these mistaken strategies that Christians often adopt. In our discussion we will touch on three popular strategies toward dealing with the situational character of revelation. First, we will speak of the strategy of laxity. Second, we will speak of the strategy of rigor. And third, we will speak of the strategy that favors human authority. For the sake of time, we will limit ourselves to discussing Scripture. But once again, we should be aware that these same strategies are often taken toward other types of revelation as well. To illustrate the difficulty of relating the scripture to the modern world, let's imagine a house on a large piece of land that gradually gives way to hazardous wilderness. The house represents those things that are clearly commanded or permitted in Scripture. The wilderness represents those things that are clearly forbidden in the Bible. The land around the house represents those things that, to one degree or another, are unclear to the person reading the Bible; matters in which we are unsure how to relate the situations of scripture to the situations of our modern world. This perceived lack of clarity has often led Christians to adopt simple strategies for defining the boundaries of Christian morality; strategies that we are describing in terms of laxity, rigor and human authority. So, let's begin with laxity as a popular but mistaken strategy toward relating the situational dimensions of revelation to the modern world. Our discussion of laxity will divide into three parts. 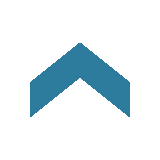 First, we will give a basic description of this strategy and its causes. Second, we will offer some examples of the consequences of laxity. And third, we will suggest some correctives that can help us avoid laxity in our handling of Scripture. Let's begin with a basic description of laxity. Laxity is a strategy that tends toward permissiveness so that those who use this strategy are slow to identify and condemn sins in the modern world. As a result, they frequently end up permitting what the Bible prohibits and overlooking what the Bible commands. Christians are predisposed to lax readings of Scripture for at least two reasons: Sometimes, they wrongly believe that the situations in the Bible are so different from the situations in modern life that the Bible cannot be applied to our day. At other times, Christians adopt a strategy of laxity because they believe that the situations in the Bible are too vague to be applied to modern life. Often, this is because they think that the facts, goals, and means in the Bible are ambiguous or even unknowable. Think in terms of our illustration of a house surrounded by a large piece of land that gradually gives way to hazardous wilderness. As you will recall, the house represents those things that are clearly permitted in Scripture. The wilderness represents those things that are clearly forbidden in the Bible. The land around the house represents those matters in which scripture's instructions are somewhat unclear to the reader. Now suppose that we want to build a fence around those things that Scripture permits, so that we can define the boundaries of Christian morality. A strategy of laxity would tend to build the fence as close as possible to the edge of the wilderness in order to permit the things that are unclear. But there is a problem with this lax practice: Not everything that is unclear to us is permitted. So, if we put the fence at the edge of the wilderness, we will almost certainly permit things that Scripture actually forbids. So, whether by assuming that the biblical situation is so different from ours that we cannot apply it, or by insisting that it is too vague to be applied with any confidence, lax understandings tend to place too few restrictions on Christian behavior. With this description of the strategy of laxity in mind, we should mention some examples of the consequences that can result from this approach toward revelation. The consequences of laxity are fairly predictable: A strategy of laxity encourages Christians to rationalize many sins. We will mention just four of the many ways this can happen. First, laxity can encourage Christians to be satisfied with choosing the lesser of contrasting wrongs, inclining them to justify a wrong action on the basis that it appears to be more righteous than the opposite action. Consider a husband and wife who have grown to despise each other. Now, we know that the Bible condemns divorce without proper justification, and that it requires spouses to love each other. But Christians who adopt a lax approach may argue that the Bible is unclear about what Christians should do in this particular situation. And they may advise divorce on the basis that it seems better than a hateful relationship. But when we assess the facts, goals and means of Scripture in a responsible way, we find that it does speak rather clearly to this modern situation. The true solution is for all husbands and wives to conform to the moral instructions of Scripture by repenting of their own sin, and by learning to love each other in the bonds of marriage. Second, laxity tends to permit inappropriate exceptions to biblical commands. This often happens when Christians fail to see that scriptural commands apply to more situations than those specifically mentioned in the Bible. Anyone who looks at a woman lustfully has already committed adultery with her in his heart (Matthew 5:28). When we fail to learn the facts, goals, and means related to the commandment against adultery, we can easily deny that both adultery and lust violate God's will. Third, laxity tends to encourage Christians to add false qualifications to the Bible's commands. They imagine facts, goals, or means that the Bible does not indicate, and use these imagined qualifications as excuses for ignoring the commands of Scripture. For example, in Deuteronomy 25:4, the Law prohibits muzzling an ox while it is threshing grain. And a lax strategy toward Scripture might imagine the false qualification that this verse applies only to people who use oxen to thresh grain. We might think to ourselves, "I have no oxen, therefore this command does not apply to me." But in 1 Corinthians 99 and 1 Timothy 518, Paul appealed to this law to prove that Christian ministers should be paid for their efforts. In cases like this, a lax strategy discourages Christians from applying the principles of biblical commands to situations that are different from those of Scripture. Fourth, a strategy of laxity can lead us to think that good motives sometimes excuse evil actions. That is, when we believe that the facts, goals, and means of Scripture are too different or too vague, we may be inclined to judge actions on the sole basis of our modern motives. Men do not despise a thief if he steals to satisfy his hunger when he is starving. Yet if he is caught, he must pay sevenfold, though it costs him all the wealth of his house (Proverbs 6:30-31). In summary, a strategy of laxity tends to be too permissive, allowing what God forbids, and thereby hiding our true duty from us. It encourages us to navigate the details of God's Law with as much personal license as possible, always looking for ways to avoid its obligations. Having considered the description and consequences of laxity, we will now offer some correctives to this mistaken strategy toward revelation. As we have said, laxity is commonly rooted either in the belief that Scripture is so different that it is inapplicable, or in the belief that it is too vague to be applicable. So, one of the best ways to avoid this error is to understand the Bible's similarity to the modern world, as well as its clarity. All Scripture is God-breathed and is useful for teaching, rebuking, correcting and training in righteousness, so that the man of God may be thoroughly equipped for every good work (2 Timothy 3:16-17). Whenever we are tempted to think that the Bible is inapplicable because its situations are so different from ours, we need to look more closely at both the facts, goals, and means related to Scripture and the facts, goals, and means of modern life. If we do, we may discover some correspondence that helps us apply Scripture. But even if we find that the situations of Scripture and modern life still appear to be different, we should not conclude that the Bible is inapplicable. Rather, we should admit our limitations, determine to keep studying the matter, and seek insight from other people such as pastors and teachers. The secret things belong to the Lord our God, but the things revealed belong to us and to our children forever, that we may follow all the words of this law (Deuteronomy 29:29). God provided Scripture to give us knowledge of our duty. And he designed it to communicate not just to the original audience, but also to future generations, or as we read here to our children forever. The Bible is not equally clear in all areas, and not every person can understand every passage. But Scripture is always clear enough for ethical applications to be drawn from it. So, whenever we are tempted to think that the Bible is unclear, we should remember that the fault lies with us, not with Scripture. And in order to correct this fault, we need to reexamine the facts, goals, and means of Scripture, searching for its original meaning. Sometimes this will help us to understand Scripture sufficiently to apply it to modern life. And if it does not, we should admit our limitations, determine to keep studying the matter, and seek the counsel of those who are wiser than we are. Having seen that errors arise when we adopt laxity as our strategy, we should now look at the errors that result from a strategy of rigor in our understanding and application of Scripture. Our discussion of the strategy of rigor will proceed in the same manner as our discussion of laxity. First, we will present a general description of rigor as a strategy. Second, we will offer some examples of the consequences of rigor. And third, we will suggest some correctives that can help us avoid using this poor strategy. Let's begin with a description of the strategy of rigor. When Christians are inclined to follow a rigorous strategy toward revelation, they are extremely concerned to guard against sin, especially as it is defined in the prohibitions listed in Scripture. As a result, they tend to err on the side of overly restricting behavior rather than on the side of permitting it. Like the strategy of laxity, the strategy of rigor also commonly results from mistaken beliefs about the Bible's similarity to the modern world, and about its clarity. With regard to the Bible's similarity to the modern world, a strategy of rigor often views the situations in the Bible as being so similar to our own that the Bible is directly applicable to our lives. This strategy gives little or no consideration to the ways that the facts, goals, and means of Scripture differ from those in the modern world. Christians who endorse this approach often argue that proper application amounts to doing precisely what was expected in biblical times. And with regard to the Bible's clarity, Christians who endorse a rigorous strategy mistakenly believe that when the Bible's facts, goals and means appear to be vague, the proper response is to apply Scripture in restrictive ways. Recall the illustration of the house and the fence. Once again, the house represents those things that are clearly permitted in Scripture and the wilderness represents those things that are clearly forbidden in the Bible. And the land around the house represents those things that, to one degree or another, are unclear to us as we read the Bible — matters in which we are unsure how the facts, goals, and means taught in Scripture relate to the facts, goals, and means of the modern world. And again, suppose that we want to build a fence around those things that Scripture permits, so that we can define the boundaries of Christian morality. As we saw, a strategy of laxity would build the fence at the edge of the wilderness in order to permit those behaviors that Scripture does not clearly condemn. But by contrast, a strategy of rigor would tend to build the fence very close to the house so as to forbid most or all of what is unclear, in order to avoid stumbling into immorality. But there is a problem with this rigorous practice: Many of the things in the yard that are outside the fence are actually permitted or even commanded in Scripture. When we respond to the Bible's teachings in such restrictive ways, we often end up forbidding some things that God permits and other things that God actually commands. So, whether by assuming that the biblical situation is so similar to our own that we can directly apply it, or by responding with inappropriate restrictiveness to the Bible's apparent vagueness, rigorous understandings tend to place too many limitations on Christian behavior. With this description in mind, we are ready to speak of the consequences of the strategy of rigor. There are many negative results of this rigorous approach, so for the sake of time we will mention only two. First, it destroys Christian freedom by prohibiting behaviors that are wrong under certain conditions, but good under other conditions. The Bible teaches that Christians have certain freedoms of conscience. That is, there are some actions that may be good for some people and evil for others. The classic examples of this are Paul's discussions of food that had been sacrificed to idols, in 1 Corinthians 8–10 and in Romans 14 there is similar discussion of the use of meats and the observance of special days. In these chapters, Paul indicated that eating food that had been sacrificed to idols was acceptable for those with strong consciences, but sinful for those with weak consciences. In light of this, Paul offered parameters of who could eat this food and under what conditions, but the ultimate determination depended on the individual's conscience. Everything God created is good, and nothing is to be rejected if it is received with thanksgiving, because it is consecrated by the word of God and prayer (1 Timothy 4:4-5). The Sabbath was made for man, not man for the Sabbath (Mark 2:27). Jesus taught that God had given the Sabbath commandment in order to bless his people. Theirs is the adoption as sons; theirs the divine glory, the covenants, the receiving of the law, the temple worship and the promises. Theirs are the patriarchs, and from them is traced the human ancestry of Christ, who is God over all, forever praised! Amen (Romans 9:4-5). No one would dispute that every other item in this list is a great blessing. So, why did Paul include the receiving of the law? The answer is simple: Because the law really is one of God's great blessings to his people. Sadly, the tendency to condemn whatever is not explicitly permitted tends to turn God's Word into a long list of prohibitions. And this causes Christians to be so preoccupied with law-keeping that they begin to think of God as a harsh taskmaster rather than as a loving father. Many even feel that God is greatly displeased with them when they fail to live up to their self-imposed rigorous standards. In summary then, a strategy of rigor denies Christian freedom, and it inspires us to despair. In these ways, it hinders our attempts to learn our duty, and it hampers our ability to take joy in the God of our salvation. Having presented our description of the strategy of rigor, as well as some of its consequences, we should now turn to some correctives that can keep us from this error. As we have seen, a strategy of rigor generally depends on one of two illusions. On the one hand, it can result from the mistaken belief that Scripture's situational features are so similar to ours that the Bible is directly applicable to the modern world. On the other hand, it can result from the mistaken viewpoint that Scripture's facts, goals, and means are vague or even unknowable. So, a good corrective to rigor is to realize that modern situations are sufficiently different from biblical situations, so that we cannot simplistically mimic the applications we find in Scripture. Indeed, we must account for differences between our situations and those in the Bible. You shall not murder (Exodus 20:13). This commandment can be applied rather directly to some aspects of modern life. For instance, it is easy to see that this commandment prohibits killing a man in order to steal his property. I do not have time to tell about Gideon, Barak, Samson, Jephthah, David, Samuel and the prophets, who through faith conquered kingdoms, administered justice, and gained what was promised (Hebrews 11:32-33). Notice that the first thing for which these men are praised is that they conquered kingdoms. They were military leaders and judges who had great success in defeating God's enemies in war. In light of facts like these, we must look for a more biblical approach of the application of the commandment against murder. We must recognize that the situations addressed in the commandment against murder are not precisely the same as the situations involved in war and self-defense. And we must explore other biblical passages that also bear on these issues, looking for a conclusion that accords with all of Scripture. And the answers will likely vary from case to case, and even from person to person. God provided Scripture so that the ancient Israelites, as well as future generations like us, would know our duty. And this implies that the facts, goals, and means of Scripture are clear enough for us to discern our obligations, so that we do not need to appeal to quick and easy strategies like rigor. Now that we have discussed the strategies of laxity and rigor, let's turn our attention to the strategy of human authority as a third mistaken yet popular strategy for handling situational considerations. Once again, we will proceed by considering first a description of this strategy, then by moving to its consequences, and finally to a corrective. Let's begin with our description of the strategy of human authority. When interpreters are predisposed toward human authority, they have too strong a tendency to defer to the judgments of other human beings. This human authority could be an influential church leader, a secular teacher, or even a parent or friend. Or it might take the form of traditional or ecclesiastical views of the Bible's ethical teachings. Now, it is important to remember that all these human authorities can play positive roles in the interpretive process. We have a long and honored tradition of theology in the church. And many scholars have discovered much helpful information about the facts, goals and means of Scripture. And even the secular community has produced many valuable insights into the situations of Scripture. So, we are right to consider these human authorities as we search the Scriptures for ethical teachings. Nevertheless, these human traditions and communities are fallible, so that believers must never blindly submit to such authorities. Recall once again the illustration of the house and the fence, where the wilderness represents those things that are clearly forbidden, the house represents those things that are clearly permitted, and the land around the house represents those things that are somewhat unclear in Scripture. As we saw, a strategy of laxity would build the fence at the edge of the wilderness to permit the things that seem to be unclear. And by contrast, a strategy of rigor would tend to build the fence very close to the house in order to forbid most or all of what is unclear. Well, not surprisingly, Christians who follow a strategy of human authority do not decide for themselves where to put the fence. Instead, they put the fence wherever the authority figures instruct them to put it. Of course, there are various reasons that people rely too heavily on human authority. Sometimes they are members of churches whose leaders claim to have exclusive insight into the Scriptures, or exclusive authority to interpret them. Others may believe that their knowledge is so insufficient that they simply have no basis for confidence in their own study of the Bible. And some are simply lazy. But in every case, whenever a Christian abdicates his or her responsibility to search the Scriptures, and ultimately submits to the decisions of mere human beings, that Christian is employing the strategy of human authority. Keeping in mind this description of the strategy of human authority, let's turn to the consequences that this strategy can have in the life of believers. We'll consider just two of the many problems that can arise when we depend too heavily on human authority, beginning with the rejection of the supreme authority of Scripture. For all practical purposes, when people entirely submit to the judgments of human authorities, they reject the Bible as their ultimate revealed norm. For God said, "Honor your father and mother" … But you say that if a man says to his father or mother, "Whatever help you might otherwise have received from me is a gift devoted to God," he is not to "honor his father" with it. Thus you nullify the word of God for the sake of your tradition (Matthew 15:4-6). The Pharisees did not reject Scripture. On the contrary, they held Scripture in very high regard. But they valued their traditional interpretations of Scripture too highly by comparison. They should have compared these understandings to Scripture and found them lacking. But instead, the Pharisees accepted interpretations that did not align with the facts, goals, and means of Scripture. And so Jesus condemned them. A problem that is related to revering human decisions more highly than Scripture is the endorsement of false interpretations. All human beings make mistakes. So, when we blindly endorse the decisions of others, we inevitably endorse some mistakes. This is particularly problematic when the church itself advocates false interpretations. At times, such false interpretations are even enforced by church discipline. For example, at the Council of Nicea in A.D. 325, the church officially and rightly refuted the heresy of Arianism, which denied the doctrine of the Trinity. However, at the Second Council of Sirmium in A.D. 357, the church changed its position and affirmed Arianism. And several local councils confirmed this move in subsequent years. During this time, Athanasius, the Bishop of Alexandria, was repeatedly exiled for opposing Arianism. At the time, he was considered a heretic for holding to views of the Trinity that we now consider to be orthodox. In summary, a strategy of human authority can have devastating results. Among other things, it can constitute a rejection of Scripture's unique authority, and it can lead to the endorsement of false doctrines. In these kinds of ways, it obscures the truth of God's revelation, so that our duty is hidden from us. Now that we have looked at the description and consequences of the strategy of human authority, let's discuss a corrective that can help us avoid this error. The corrective is fairly simple, and that is that we must always maintain the supremacy of Scripture as our ultimate revealed norm. The church and its traditions are lesser authorities over us, and they really can help us understand Scripture. But they cannot bind our consciences the way Scripture does. As Jesus demonstrated in his arguments with the Pharisees, our obligation is to obey the words of Scripture according to their original meaning. The supreme Judge, by which all controversies of religion are to be determined, and all decrees of councils, opinions of ancient writers, doctrines of men, and private spirits, are to be examined, and in whose sentence we are to rest, can be no other but the Holy Spirit speaking in the Scripture. The Scriptures are the very words of God. And no human tradition or interpretation can speak with the unquestionable authority of God. So, we must submit to what we believe Scripture to reveal through its facts, goals and means. Now the Bereans were of more noble character than the Thessalonians, for they received the message with great eagerness and examined the Scriptures every day to see if what Paul said was true (Acts 17:11). Like the Bereans, we must always test human testimonies and doctrines by the standard of Scripture. No mere creature — not even the apostle Paul — is so authoritative or accurate, in and of himself, that we should rely on his word above that of Scripture. Predispositions toward laxity, rigor and human authority offer easy but untrustworthy answers to difficult questions. At first glance, it may even seem wise to err on the side of caution, or on the side of freedom, or on the side of tradition. But in reality, to err on the side of anything is still to err. You see, when we overemphasize laxity or rigor or human authority, we ignore the facts, goals, and means of Scripture. And as a result, we don't know our duty as we should, so that we can't conform ourselves to God's character. And this is why we must always try to discover and submit to the original meaning of Scripture. Having looked into the situational content of revelation, the nature of revelation itself, and some popular strategies toward the situational dimensions of revelation, we are now prepared to consider the issues that come to the foreground in the application of revelation to the modern world. How do the facts we find in the modern world help us to know our obligations to God? And how is our duty influenced by the facts of our own situations? You will recall that our model for making biblical decisions is: Ethical judgment involves the application of God's Word to a situation by a person. As this model indicates, we are wise to look at ethical decisions from three perspectives: the normative perspective of God's Word, the situational perspective and the existential perspective. As we focus on the situational perspective in this lesson, we must always remind ourselves that to apply God's word rightly, we need to know more than the content and nature of God's word. We must also know something about our modern situation, the situation to which we are applying God's Word. Now, God's Word is so sufficient that if we knew it exhaustively — if we knew every way that special, general, and existential revelation reflect his character — we would always know precisely what to do. After all, each perspective on ethics ultimately includes the others. So, if we were able to see every ethical implication of the normative perspective, we would not gain any new insight by considering the situational and existential perspectives. But in reality our knowledge of God's norms is not exhaustive. Rather, God's word provides us with limited information about God's character. This revelation is sufficient for all our ethical endeavors not because it tells us precisely what to do in every instance, but because it provides us with enough information about God's character to figure out what to do in every instance. And a very important part of figuring out what to do is understanding the circumstances to which we are applying God's word. Our discussion of the application of revelation will draw attention once again to three situational considerations. First, we will consider the need to understand the facts of our modern circumstances. Second, we will focus on modern goals. And third, we will consider the modern means by which God permits us to pursue these modern goals. And throughout each of these sections, we will demonstrate our points by appealing to the biblical laws regarding food. Let's begin with the facts of our modern circumstances. The important point we want to make in this section is that changes in facts require changes in the application of God's Word. And to prove this idea, we will look at the way Scripture itself makes use of this principle. In particular, we will explore three different historical periods: the days of the Exodus under Moses, the days when national Israel inhabited the Promised Land, and the days of the New Testament church after Christ's ascension into heaven. Now, it is important to strike a balance as we consider the facts of these three periods; there are both similarities and differences to be remembered. On the one hand, there are many similarities between all three of these periods with respect to the character of God. God's character is immutable — it cannot change. And so, in each of these periods of history, the fact of God's existence, and the particular attributes of God's character, remained the same. For another thing, in each of these time periods humanity was fallen and sinful, desperately needing moral guidance from God. And with specific regard to food, we find the similarity that in each of these periods food was to be eaten for God's glory. And this factual situation remains true in our day as well. But on the other hand, Scripture makes it clear that there are also differences between the facts in these three periods, so that some actions that were counted as sinful in some periods are not in other periods. Let's consider how the facts related to food changed throughout history. In the days of the Exodus, the people of Israel were governed by relatively strict laws, being permitted to eat only clean animals in particular ways. As just one example, according to Leviticus 17:3-4, during their travels to the land of promise, it was sinful for the Israelites to slaughter and eat certain clean animals unless they were first presented as an offering to the Lord at the tabernacle. But when the Israelites were well established and spread throughout the Promised Land, the Scriptures make it clear that they were governed by relatively relaxed laws. In fact, Moses himself anticipated this later situation. According to Deuteronomy 12:15, when the Israelites settled in the land, they would be permitted to slaughter and eat any clean animal in their own towns, without presenting it to the Lord at the place of worship. And after Jesus' atoning death and ascension into heaven, the church was governed by permissive laws regarding diet. As we learn through Peter's vision in Acts 10:9-16, God declared all animals to be clean, so as not to pose a stumbling block to the inclusion of the Gentiles in the church. And the reality is that these factual similarities and differences influenced ethical judgments. Insofar as the facts were the same, the judgments based on these facts were also the same. For example, one judgment that remained the same was the judgment that God is good, and another was the judgment that humanity is sinful, and food must still be eaten to God's glory. These and many other ethical judgments were relatively unchanged throughout these periods because the facts on which they were based remained unchanged. But insofar as the facts were different in each period, the ethical judgments were also different. During the Exodus, with regard to certain animals, the judgment was to be: "eat only clean animals that have been offered to God." In the Promised Land, the judgment was to be: "eat only clean animals." And in the period of the New Testament church, it was to be: "eat any animal." In each period, God's character remained the same. But the obligations his character placed on behavior varied in light of the changing circumstances. Now, as we look at these similarities and differences, we can see that they are instructive for modern Christians. In broad terms, the same facts are shared in common in all ages. God's existence and God's character have not changed, and humanity is still fallen and sinful. And food must still be eaten to God's glory. And as a result, the judgments that God is good, humanity is sinful, and glorify God with food must still be affirmed. But how should we judge dietary sinfulness in light of the factual changes that have occurred? Well, there are many differences between our facts and those of Israel in the days of the Exodus and Israel's life in the Promised Land. During the Exodus, strict laws applied, leading to a judgment to eat only clean animals that have been offered to God. And in the Promised Land, relaxed laws applied, leading to a judgment to eat only clean animals. We can and must learn from these laws as Christians today, but they are not in force in the same ways in our day, and therefore their applications have changed. Hypocritical liars … order [people] to abstain from certain foods, which God created to be received with thanksgiving by those who believe and who know the truth. For everything God created is good, and nothing is to be rejected if it is received with thanksgiving, because it is consecrated by the word of God and prayer (1 Timothy 4:2-5). To one degree or another, every ethical judgment requires us to identify the similarities and differences between the modern facts and the biblical facts, and to render ethical judgments accordingly. However, on the matter of food, the situational similarities between the New Testament church and the modern world indicate that we should generally follow the example set by the New Testament church. Now that we have seen how important it is to consider the similarities and differences between the facts in the Bible and the facts in our own lives, we should turn to the question of goals in the lives of modern Christians. Let's consider once more the dietary laws from the times of the Exodus, Israel's life in the Promised Land, and the New Testament church. Do not make yourselves unclean by any creature that moves about on the ground… be holy, because I am holy (Leviticus 11:44-45). And these rather general goals continued to be in effect throughout the periods of the Exodus, Israel's life in the Promised Land, and the church, even though the dietary laws were changed in these later periods. The Holy People, the Redeemed of the Lord (Isaiah 62:12). But just as he who called you is holy, so be holy in all you do; for it is written: "Be holy, because I am holy" (1 Peter 1:15-16). In fact, when Peter instructed Christians to be holy, he quoted from the dietary law we just read in Leviticus 11:44-45. But despite these similarities, each period also had particular goals for holiness that differed from the goals in other periods. During the Exodus, one goal was to separate Jews from Gentiles. And the same goal was maintained while Israel lived in the Promised Land. But in the New Testament church, the circumstances changed when God converted many Gentiles. At that point, the goal was no longer to separate Jews from Gentiles, but to unite Jews with Gentiles in the church. And necessarily, the correspondence between the goals of God's glory and our holiness in these periods resulted in correspondence among the ethical judgments in all three periods. With regard to similar judgments, the goal of human holiness that mirrored God's holiness was affirmed in all periods. And as a result, the ethical judgments that God is holy and that humanity must strive to be holy were rightly affirmed as well. At the same time, each period also contained ethical judgments that were different from the judgments in other periods. In the days of the Exodus, the goal for Jews to separate from Gentiles led to the judgment to refuse invitations to eat Gentile food. And this judgment would have been echoed during Israel's time in the Promised Land. But the proper judgment for the New Testament church was to accept invitations to eat Gentile food. After all, this was precisely what God had commanded Peter to do in Acts 10. In each period, God's character remained the same. But the goals implied by his character were somewhat different. Now, as we look at these similarities and differences, we can see that they are instructive for modern Christians. With regard to similarities, we should still affirm the goals of God's glory and our holiness. And this should still lead us to the judgments that God is holy and that humanity must strive to be holy. In these ways, the goals and judgments in the modern world reflect those of the ancient world. But we must also consider differences between modern goals and judgments on the one hand, and goals and judgments in Scripture on the other hand. During the Exodus, the goal was to separate Jews from Gentiles, and this led to the judgment to refuse invitations to eat Gentile food. And during Israel's time in the Promised Land, this same goal and judgment applied. But in the New Testament church's day, the goal was to unite Jews with Gentiles, leading to the judgment to accept invitations to eat Gentile food. The modern church is still to consist of Jewish and Gentile believers, so the goals of our situation are different from those in the periods of the Exodus and of the Promised Land. Consequently, we should not make the same judgments they made. But our goals are similar to those of the New Testament church. And as a result, our judgment should be the same as theirs, so that we also accept invitations to eat Gentile food. Again, every ethical judgment requires us to consider the modern goals in light of the biblical goals, and to focus on the similarities and differences between them. Where there are significant differences, we should hesitate to adopt the same judgments. But where there is significant similarity, we should accept the ethical judgments. In some cases, such as the matter of food, our judgments will be different from those made in the Old Testament, but very similar to those made by the New Testament church. But in other ethical matters, we may determine that even the judgments made by the New Testament church are inappropriate for our modern setting. Having looked at the importance of correspondence with regard to facts and goals, we should turn to our final topic: the correspondence between the means approved in Scripture and the means available to us in the modern world. Let's turn one last time to the dietary laws from the periods of the Exodus under Moses, Israel's life in the Promised Land, and the New Testament church in order to illustrate the importance of considering similarities and differences of means. On the one hand, the similarity between the means in the days of the Exodus, life in the Promised Land, and the New Testament church is fairly basic. Simply put, the people were to use diet to achieve holiness in all three periods. The differences, however, are more extensive. For instance, during the Exodus, the means of striving for holiness through diet included the need to sacrifice animals at the tabernacle before eating them. This means of regulation worked well during the time that the Israelites wandered in the wilderness. During those days, the entire nation lived in the vicinity of the tabernacle. Moreover, Exodus 16:35 indicates that their diet primarily consisted of manna, not of meat from domestic animals. But in the Promised Land, many lived far from the tabernacle, and far from the temple that Solomon later built in Jerusalem. Moreover, God had ceased providing manna, and the people were eating more domestic animals. So, in Deuteronomy 12:15, God adapted his requirements to fit the new circumstances of his people's lives. Specifically, he permitted the people to slaughter animals in their own towns. He still required holiness, but he gave the people a new means to fulfill this requirement. As we have seen, the requirements changed again in the days of the New Testament church. As God's kingdom spread to lands, peoples and cultures beyond Israel, there was a great influx of Gentiles into the church. As a result, holiness no longer required those of Jewish descent to remain separate from those of Gentile descent. Rather, as Peter learned in Acts 10:9-16, holiness now required them to unite with regard to their diets, in order that all Christians might fellowship with one another. Appropriately, God used a change to an unrestricted diet to create unity between Jews and Gentiles in the church. And just as we saw with facts and goals, the correspondence between means throughout these time periods was manifested in ethical judgments. Insofar as the means were similar, one valid judgment could have been that food should be used in ways that honor the holiness of God and sanctify his people in his service. But insofar as the means were different, different judgments should have been rendered regarding other aspects of diet. During the Exodus, the means was to sacrifice animals at the tabernacle. And this should have led to the judgment that animals must be sacrificed at the tabernacle before eating them. In the Promised Land, the means was to slaughter animals in towns, and this should have led to the judgment to slaughter clean animals And in the New Testament church, the means of an unrestricted diet should have produced the statement "eat what the Gentiles eat" as an appropriate ethical judgment. And modern Christians have much to learn from these similarities and differences. Because of the similarities the modern world has to the periods of the Exodus, Israel's life in the Promised Land, and the New Testament church, we should echo their determination to use diet to achieve holiness. And this means should lead us to affirm the ethical judgment that food should be used in ways that honor the holiness of God and build holiness in his people, even in the modern world. We can also learn from the differences between the means used in these periods of history. We do not live near the tabernacle, as God's people did during the Exodus, when the means was to sacrifice animals at the tabernacle and the judgment was that animals must be sacrificed at the tabernacle. And we do not live in an entirely Jewish nation that must remain distinct from Gentiles, as was the case in the Promised Land, when the means was to slaughter animals in towns and the judgment was to slaughter clean animals before eating them. So, we should not use the means that God's people employed in these periods, or render judgments based on those means. But consider the New Testament church. They used the means of an unrestricted diet and made the judgment to eat what the Gentiles eat in order to pursue unity within the church. And because our situation is essentially the same as theirs, we should use the same means and render the same judgment. As with facts and goals, there will be some cases in which the situation of the New Testament church differs from our own, so that we cannot always use the same means and render the same judgments that the New Testament church did. Every norm revealed to us must be applied with diligence and wisdom, and not with simple imitation of the behavior in Scripture. Proper ethical judgments always take into account the means that God has approved. And we can determine which means are appropriate to use in the modern world by looking at the correspondence between the situations described in the Bible, and the situations of our own lives. In this lesson, we have investigated four topics that help us understand the relationship between revelation and situation as we seek to know our duty before God. We have explored the content of revelation as it pertains to situations, the situational nature of revelation itself, several popular interpretive strategies toward revelation, and the application of revelation to our modern situations. And we have seen that in order to make biblical decisions, we must consider the ways that each one of these situational factors contributes to our knowledge of our duty. As believers who want to make ethical decisions, it is very important for us to understand our ethical situation. And as we have seen, it is helpful to think of our situation in terms of facts, goals, and means. By paying attention to these concerns, we can better understand God's revelation. And when we do, we will be better prepared to make judgments that conform to the biblical model for making ethical decisions. Dr. John Frame (Host) is Professor of Systematic Theology and Philosophy (Emeritus) at Reformed Theological Seminary. He began his teaching career at Westminster Theological Seminary in Philadelphia and later became a founding faculty member at Westminster Seminary California, where he taught for more than 20 years. He is also an ordained minister in the Presbyterian Church in America (PCA). Dr. Frame received both his Master of Arts and Master of Philosophy degrees from Yale University and his Doctor of Divinity degree from Belhaven College. A prolific writer, Dr. Frame has authored numerous books and articles, including Systematic Theology: An Introduction to Christian Belief (P&R, 2013) and A History of Western Philosophy and Theology (P&R, 2015). His book, The Doctrine of God (P&R, 2002) won the 2003 Gold Medallion Award from the Evangelical Christian Publishers Association. He has also contributed to several theological reference volumes, such as the New Dictionary of Christian Apologetics (IVP, 2006).